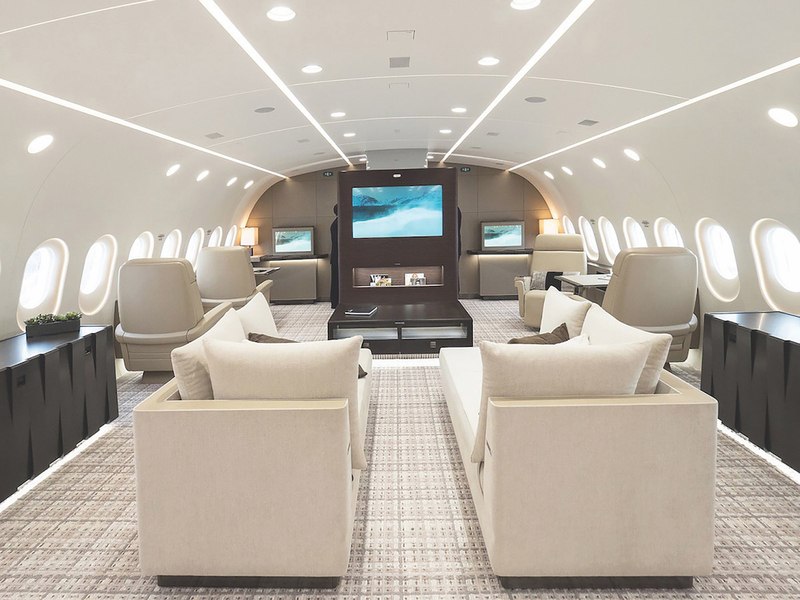 Whether for business or pleasure, the lure of the luxury, privacy and convenience afforded to travellers is making private jets the new way to fly. 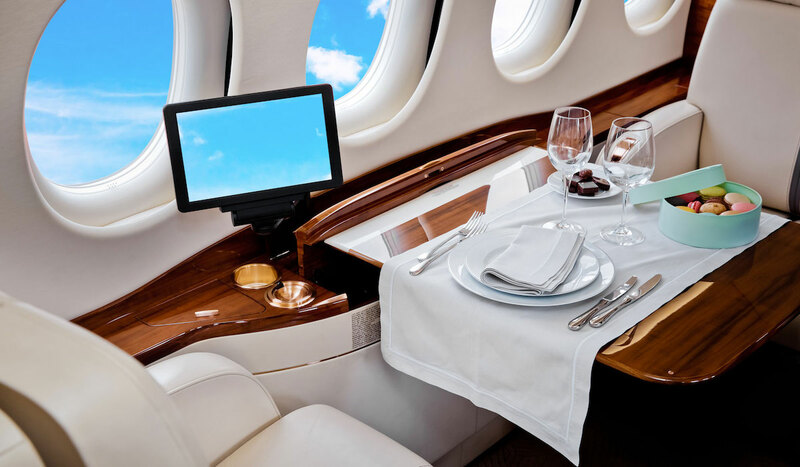 Once the domain of diplomats, rock stars and trust-fund billionaires, there’s a new breed of people taking to the skies in private jets who have discovered that all that luxury and star treatment is more affordable than ever. Private ownership is on the rise, with global trade meaning daily travel for a lot of business executives. However, it is the increasing prevalence of digital technology that is once again doing its disruptive thing and enabling access to jets that aren’t being used, are en route to a pick-up, or just happen to have a couple of spare seats. That’s when the dream becomes truly affordable. Also added to the mix is the rise of private jets used by luxury travel companies in order to provide the ultimate in touring experiences. Forget 80 days, Captain’s Choice will take you around the world in 21, hopping from destination to destination with chilled Champagne in hand, waited on by a staff to take care of your every need. Holidays are for relaxing, after all, and there’s nothing relaxing about international airport terminals. The ‘2017 Knight Frank Wealth Report’, looking into the current lifestyle and investment trends of UHNWI globally, showed a marked increase in private jet ownership over the past 10 years. The report includes data supplied by aviation analysts JETNET and WINGX, which shows that while the US (12,717), Mexico (950) and Brazil (786) are the top 3 nations by some margin when it comes to fleet size – next is Canada, which grew 51% to 534 – there has been a noticeable rise in private jet use in Asia. Hong Kong (+535%), Taiwan (+367%), China (+347%) and Macau (+300%) all feature on the top 10 list of locations where growth has occurred the most rapidly over the past decade. 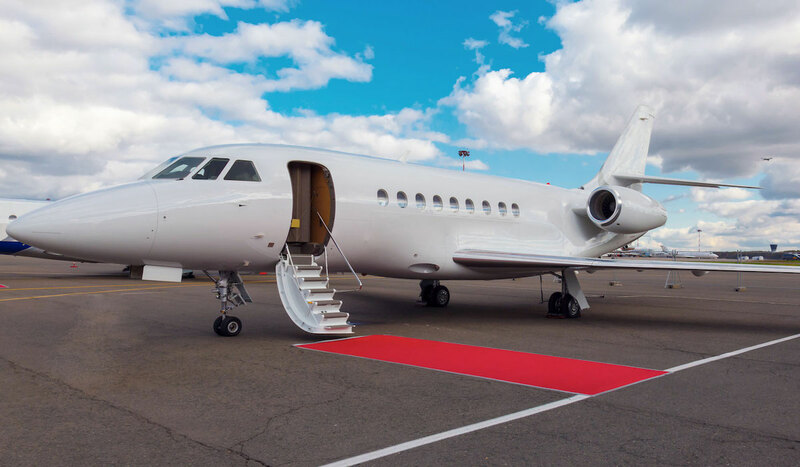 The view of multimillion-dollar corporations is that although quite expensive, the time saved by dodging tiresome airport queues, as well as by being able to conduct business as usual while in the air, makes a private jet a worthwhile investment. The introduction of President Donald Trump’s laptop ban on some commercial flights will no doubt also see many executives now look to private travel, as the ban will effectively take the ‘business’ out of Business Class. Rick Pegus, the owner and managing director of Australian charter operator and broker Skypac, says the general rule of thumb is that buying an aircraft makes sense if it will be flown more than 300 hours a year. If the flying time is between 100 and 300 hours a year, it might make sense to buy one but have it managed by a charter operator so it can be used by others to bring in extra revenue when you aren’t using it. For less than 100 hours of flying a year, it makes more sense to charter an aircraft each time it is needed. It is this section of the private jet industry that is really booming. No more planes sitting idle or travelling without passengers; thanks to the rise of apps like Surf Air, a seat can be snapped up in seconds and you could be flying in style across the continent the way you used to call a taxi to get down town. Sure, you have to share the flight with other members, but you can book within 30 seconds, fly from a private terminal, and just show up 15 minutes before departure. Plus, imagine the inflight networking opportunities. If you want to take your business team, or family and friends with you, then an empty-leg charter is the way to go. Similar to private charter, you get the whole jet to yourself, but there are restrictions on availability. 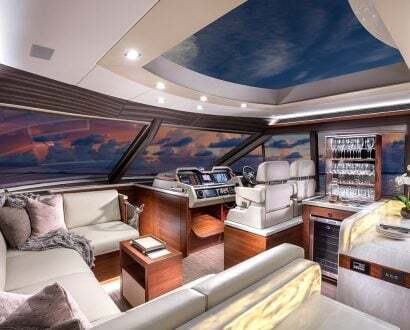 For example, the price drops dramatically if you want to catch a lift from London to Ibiza with a pilot en route to pick up a rock star and their entourage after a week of partying hard. There’s no point in letting all that airborne luxury go to waste, right? Businesses such as PrivateFly and Fly Victor have thousands of aircraft on their books to whisk you away at a fraction of the cost if you’re the more spontaneous type. For those who prefer to lock in their travel plans well in advance, there are now many luxury travel companies offering private jet flights in their itineraries. 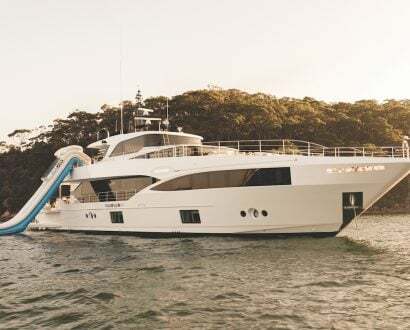 Imagine enjoying a luxurious Champagne breakfast above the clouds after a magnificent weekend in one of Australia’s most remote and exclusive lodges, then stepping off a private jet straight into an awaiting limousine ready to whisk you off to a superyacht to cruise the stunning Whitsundays. Adagold Luxe, launched recently in Australia, makes this a reality, with carefully curated ‘jet-centric’ travel experiences that partner its aviation business with luxury travel companies. “The main thing our guests have in common is the desire for unique and bespoke experiences where ease, comfort and flexibility is desired,” says Katelyn Aslett from Adagold Luxe. “Our bespoke packages can take guests to some of the best luxury lodges on the continent from wine-tasting South Australia’s Barossa, to visiting world-class gallery MONA in Tasmania, or iconic Uluru in the Red Centre. Plus we visit private islands in Fiji and French Polynesia, all in the decadence of a VVIP jet. is tailor-made just for them. For the more adventurous, the original intrepid global explorers National Geographic take groups of 75 on a round-the-world private jet adventure from Washington DC on several dates throughout each year. Its bucket-list annihilating itinerary takes 24 days to visit Cusco and Machu Picchu in Peru, Easter Island off Chile, Apia in Samoa, the Great Barrier Reef or the Daintree Rainforest in Australia, Angkor in Cambodia, Kathmandu in Nepal, and Lhasa in Tibet, before heading to the Taj Mahal in Agra, India, then Tanzania, The Lost City of Petra and Wadi Rum in Jordan, Marrakech in Morocco and, finally, back to Washington. The trip costs $107,700 and is already waitlisted for the rest of this year. The VVIP Dreamliner B787 Dreamjet, currently showing off on runways around the globe, is the world’s largest and most luxurious private jet. Dubbed the ‘Flying Penthouse’, the aircraft cost an undisclosed Asian business client $400 million, and features an entertainment and study lounge, dedicated dining spaces, an en-suite master bedroom with a 42-inch TV, a dressing room and an enormous hotel-style bathroom complete with a shower. 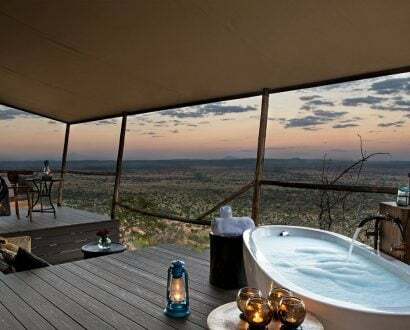 For just $34,800 per hour, you and 39 of your closest friends can indulge in a take-off to remember.